SIBIU – FEERIC FASHION WEEK presents the 11-year anniversary edition during the 17th – 22nd of July 2018. More than 100 promising designers, journalists and buyers from USA, France, Italy, China, Romania, Croatia, Denmark, Serbia, Argentina, Spain, and many others will take part in the event. The fashion week schedule is composed within a 6-days program: an inspiring magic tour along Feeric33 new talents competition, fashion shows and events in creative locations around Sibiu, Transylvania opened to everybody, because fashion has no boundaries. Fashion is a journey about how people live their own real life. The theme ‘’The Future of Fashion Industry’’ boldly dives into one of the most current highlights of the moment, the FUTURE. Specifically, the relation between young designers and established institutions from fashion industry. 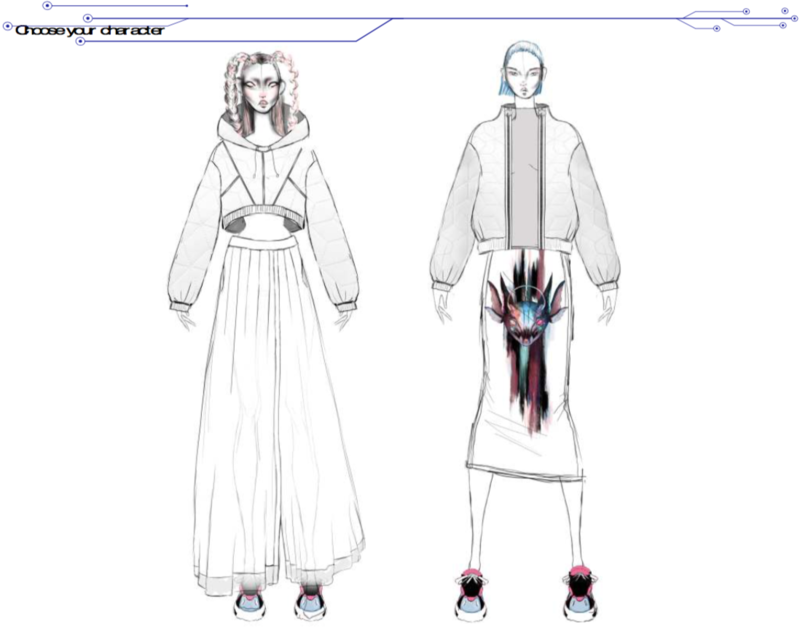 #FEERICTeam challenge participants and visitors to break existing barriers between young designers and artists and RULES by way of using fashion nowadays. The perfect opportunity to discover the collections of new or established, local and international fashion talents. This year, FEERIC FASHION WEEK again offers creative stages to designers from all over the globe. Romanian design talent will be represented very well by young and established designers. Ever since the very first edition, like a tradition, the Feeric GALA will take place in Sibiu downtown on July 21st. FEERIC FASHION WEEK is also known for the thrilling locations where designers are challenged to present their work to the audience in a performative manner. Feeric Fashion Week is looking out for new talents in all Eastern Europe’s and not only. That’s why Feeric 33 new talents competition was born, to support and celebrate the work of graduating designers. 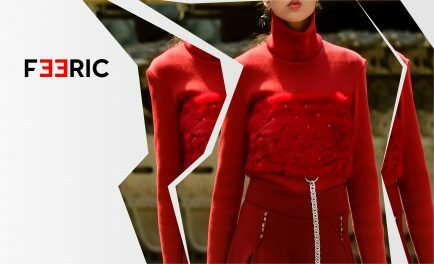 ‘’As the greatest fashion week in Eastern Europe, with love for innovative fashion, we know the importance of support at early stages and that’s why we created the Feeric 33 competition, to support and encourage graduating designers as they try to build a career in fashion.’’ said Mitichi, founder and president of Feeric Fashion Week. FEERIC​​​ ​​​33​​​​​ ​​​competition’ for​​​ ​​​new​​ ​​talents​​ ​​in​​ ​​​fashion​​​ ​​​design​​​ ​​​will take place in Sibiu, on July 18th during Feeric Fashion Week at REDAL EXPO, the headquarter of Feeric Fashion Week. Thirty three young ​​​designers​​​ ​​​entered​​ ​​the​​ ​​final​​ ​​stage​​ ​​of​​ ​​FEERIC​​ ​​33​​ ​​and​​ ​​will​​ ​​​showcase​​​ ​​​their​​ ​​work​​ ​​during ​the​ ​greatest​ ​fashion​ ​week​ ​in​ ​Eastern​ ​Europe. ​​The​​ ​​winner​​ ​​will be named by a ​​jury​​ ​​formed​​ ​​by​ ​international journalists,​​ ​buyers​ ​and​ ​​professionals​​ ​​from fashion​ ​industry, Raoul Keil, Founder and Editor in Chief of Schon Magazine, Diane Pernet, Founder of ASVOFF ( A Shaded View on Fashion Film ), Patricia Lerat, Founder of PLC Consulting and curator of Designers Apartment in collaboration with Fédération de la Haute Couture et de la Mode, Elisabeta Tudor, Editor at Large of NOW FASHION Paris and Editor in Chief of MODZIK Magazine, Riccardo Terzo, Fashion Stylist and Contributor of VOGUE Talents, Liana Satenstein, Fashion News Writer of VOGUE US, Tania Cursano, Founder of IT-ELITE Showroom, Carolina Molossi, Founder of Get Book A Look Digital Showroom, who ​​will​​ ​​see​​ ​​the​​ ​​folder​​ ​​of​​ ​​each​​ ​​candidate. The project ​​​gives​​​ ​​​the​​ ​​opportunity​​ ​​to launch​​ ​​a​​ ​​business​​ ​​in​​ ​​fashion​​ ​​industry​​ ​​and​​ ​​a​​ ​​30.000​​ ​​​euros​​​ ​​management​​ ​​contract​​ ​​with​​ Feeric Fashion Week and ​​The Secret​​ ​​Code​​ ​​Of​​ ​​Fashion​​ ​​Agency​​ ​​for​​ ​​the​​ ​​following​​ ​​​three​ ​​years.​​ ​​​This​​​ ​​​support​​​ ​​​covers​​​ ​​​all​​​ ​​​the​​ ​​expertise​​​ ​areas​ ​​​that​​​ ​​​are​​​ ​​​critical​​​ ​​​to​​​ ​​​a​​​ ​​​young​​​ ​​​fashion​​​ ​​​designer​​​ ​​​-​​ ​​intellectual​​​ ​​​property,​​​ ​​​sourcing, production​,​​ ​​distribution,​​​ ​​​marketing​,​​ ​​visual​​ ​​identity,​​ ​​advertising​​ ​​and​​ ​​public​​ ​​relations. 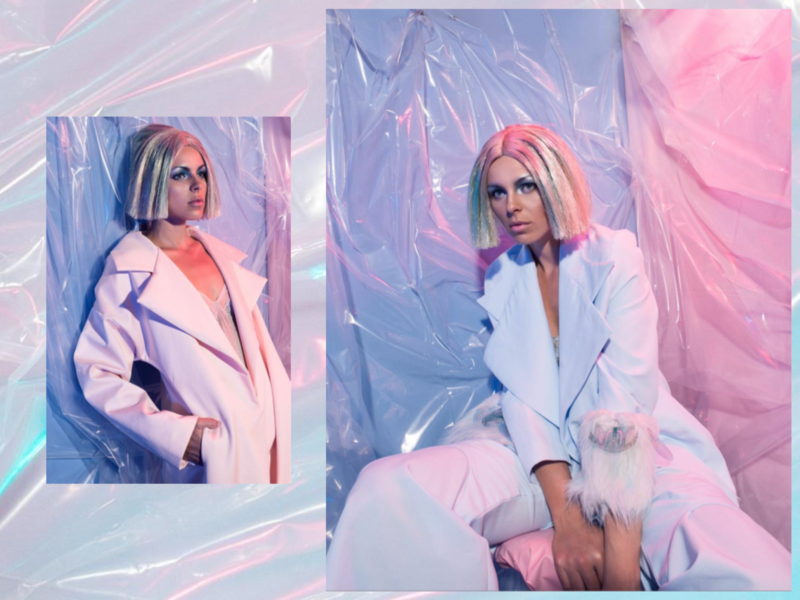 Bianca Popp will support the desigeners with the first prototypes of his first collection. The winners will be announced and awarded in a special ceremony on Friday 20th of July 2018. Landiana will choose 3 contestants to wear their creations during the September season of fashion weeks. V for Vintage and Feeric Fashion Week launches, on the occasion of its 10 years of existence, a strategic partnership to support the sustainable development of the Romanian clothing design industry. V for Vintage is the most important contemporary design and vintage trade fair in Bucharest, Romania, a platform that supports the communication between contemporary and vintage design. It is a connector of local creative industry initiatives with many actions in the area of ​​education, training and collaborative projects. IED – Istituto Europeo di Design in collaboration with Feeric Fashion Week, awards one of Feeric33 finalist with a special merit-based scholarship to attend a Summer Course in Italy in 2019 and creates a bridge between Romania and Italy; Imagine a physical or innerself travel that would bring nearer the two Countries through their common features but also through their diversity. The competition will award one 100% scholarship for a summer course in IED Italy in 2019. Landiana is the vice-president of Feeric Fashion Week, the greatest fashion week in Eastern Europe. Landiana YOLO represets a contemporary vision of fashion industry, as she who collaborates with some of the major fashion brands such as Furla, Nivea, Guerlain, Mercedes-Benz, GHD Hair and more, but at the same time her main focus is strongly related to young fashion designers involved in Feeric Fashion Week. As a very creative influencer, she was published on important fashion magazines like Vogue Italia, Vogue China, Elle France, Elle UK, Vogue Middle East, W Magazine, Marie Claire Australia, Harper’s Bazaar Spain, Harper’s Bazaar Australia, ELLE Spain, ELLE Portugal, Glamour Italia, The New York Times, The Huffington Post, and online fashion platforms like Buro247, Fashionista, Popsugar and others. Landiana’s main purpose is to promote young designers of Feeric Fashion Week. 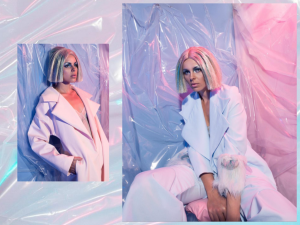 Feeric Fashion Week was founded in 2018 by Mitichi, photographer and art director, and is based in Sibiu –Transylvania, in Romania. The event is covered by a lot of international press. 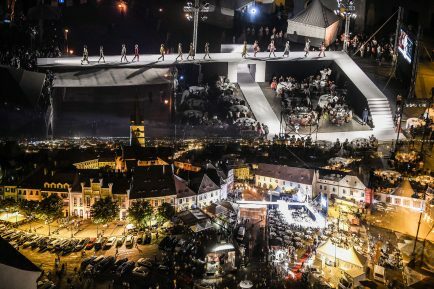 Many international designers and guests are impressed by the fact that particular places from Transylvania are transformed in creative catwalks. ‘’Feeric’’ means ‘’magic’’ in Romanian and the name derived from the magical beauty of the Small Square of Sibiu, already famous for tourists. Particular locations ​like​ the ​airport,​ ​ZOO garden, railways​ ​depot,​ lakes, ​pasta or candies factories,​ ​castles,​ ​streets,​ ​rivers,​ ​bridges, libraries or ​stone​ ​quarries​ ​became in the past, catwalks for more than 40 designers from 20 different countries from all over the world.